“You talk such a load of capricious crap, Lung Jun. I know damn well who and what you are,” young Orkins replied. Instantly deciding he no longer wanted the post and looking for a quick way out and seizing the opportunity by being as disrespectful as possible, he continued hastily. Smiling inwardly at the effect his words were having upon the old sea-dog, Orkins kept his verbal volley flowing relentlessly, while a kaleidoscopic sequence of grotesque, bulging-eyed grimaces rippled in the most prizewinning gurner’s fashion across Saliva’s features. 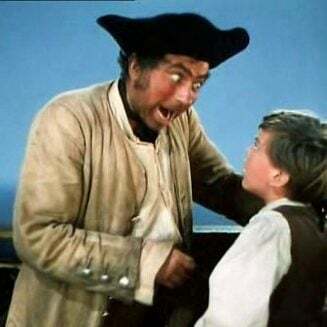 “Arr, oy see yer gonna be a makin’ a foine cabin boy,” Jem lud, Saliva chuckled, tufty black brows and beard waggling and bobbing in the act. He leered lecherously at Orkins, who backed away with a startled expression on his face. Saliva lunged forward at Orkins, who stepped smartly out of the way. “No fear,” yelled Orkins as he ran up on deck and grabbed a lit torch from its bracket along the way. Orkins stood up in one of the boats and screamed out so loudly that the seagulls above screeched back in refrain. He jerked his fingers up in an abusive sign. Lung Jun stood, legs apart, arms akimbo, hands twixt crutch-grip and hip, grinning devilishly at young Orkins. Poking his tongue out, Orkins grabbed the handle of the davit and began lowering the lifeboat over the side, swiftly torching the remaining boats with a wild flourish before disappearing from sight. The dry ancient timbers flared up furiously into roaring orange and yellow-flamed life, belching thick black smoke. Alarmed sailors ran hurriedly for the water buckets to quell the flames before they started spreading onto the rest of the ship. He paused, cupped his lips with both hands and took a long deep breath.